In Adobe Acrobat Pro you can do things like put little sticky notes in PDFs, highlight text, and create bookmarks. I have found this very useful for learning. In school you learn better when you put your notes right in the textbook. Some of the material is now delivered in pdf form. However I've switched to Linux. I find that there are several programs that can read PDFs, but they can't do all those useful things I just mentioned. Are there any linux programs that can? I found a program that converts pdfs to ps format. If I convert a pdf to a ps file, are there programs that let you do these kinds of things? 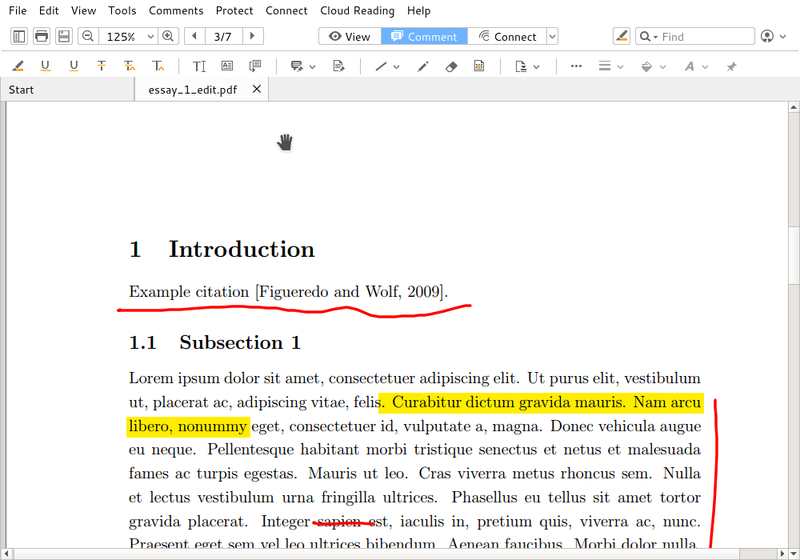 Xournal can be used to annotate PDFs (and with proper text, not just like the rather whimsical screenshot). I've used it to fill in non-interactive PDF forms. Update: Master PDF editor, which is free for linux (non-commercial use), is also a good option. I have been using this for almost a year now, and it suits most of my needs. Mendeley can do all of this, plus it is an awesome software for keeping track of your PDF:s (with searching, tagging etc). Also, PDF XChange Viewer is a free windows program that can do this too, and works well under Wine (it's even very fast). I have used both of these for taking notes during my engineering studies. 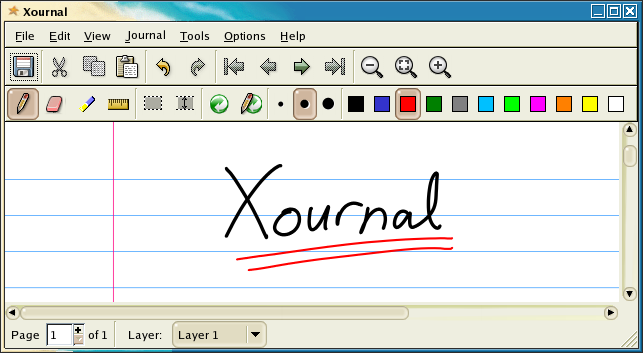 The Foxit Reader is also available in a native version for Linux and offers a plethora of annotation features. 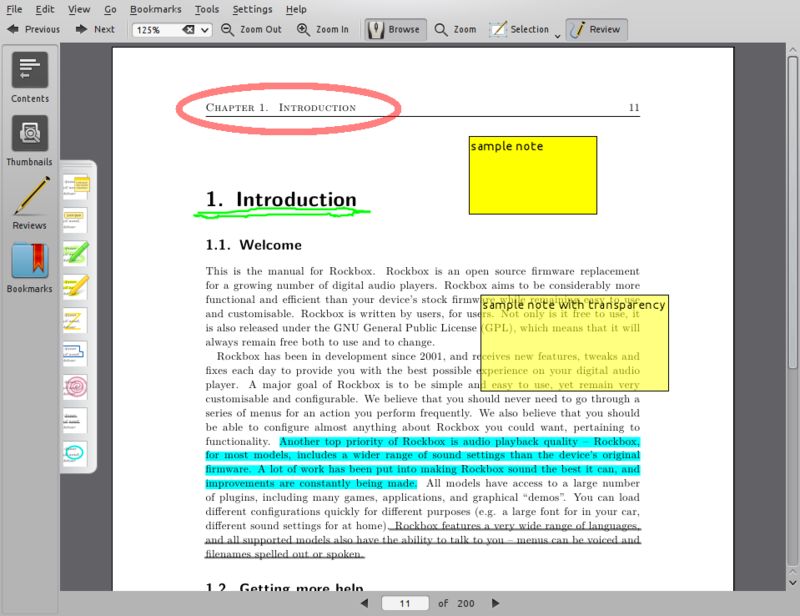 Adobe Reader X can add Sticky Notes (Crtl-6) to PDFs. At least in Windows it can. You might want to try this in Linux. Not the answer you're looking for? Browse other questions tagged linux pdf or ask your own question. Any practical method to do annotation on PDF under Linux (64bit) environment? How reduce size of PPT 2010 Notes Pages PDFs? How to automate Adobe Acrobat XI Standard to re-compress a lot of PDFs? How to reduce file size produced by Microsoft Print to PDF?